Put those pumpkins away or into a pie: it’s Thanksgiving time! It’s that annual third Thursday in November, a time for pies, casseroles, family and thanks. But let’s not forget the star of the show, the dish that truly flies center-stage—the Thanksgiving Turkey. There are all manner of ways to cook this delicious centerpiece. While each technique will certainly be delicious, we’ve compiled six methods that will inspire and awe at your table. 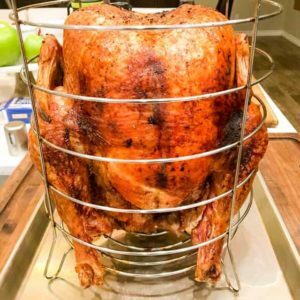 The best technique boils (or roasts, grills, and fries) down to which part of the bird you are most thankful for! Throw some delicious basting sauce and dress your turkey in a signature stuffing. This classic way is often the most expected in the holiday season. Roasting with a can make for a beautiful presentation but an oven will often create dry and flavorless meat. 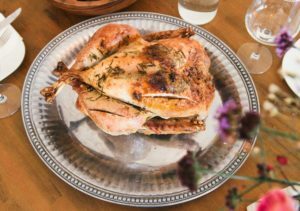 If traditional and simple sounds right up your alley, this recipe from allrecipes.com will create a simple and delightful roast turkey. If roasting is your technique of choice, you might want to consider different roasting techniques. Alton Brown, for example, recommends stuffing specifically for a side dish or as dressing. Ask yourself, what kind of stuffing family are you? With the right cooking supplies, deep frying is quite possibly the quickest way you can cook a turkey. Frying also creates a crisp skin and succulent meat that holds in all of its flavor. If you do plan on preparing your turkey this way, prepare accordingly! 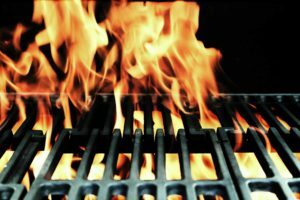 Working with so much flammable, oily material can create a fire hazard, so we recommend outdoor cooking for a safer environment. For a hearty dish like this, we recommend Paula Deen’s recipe. 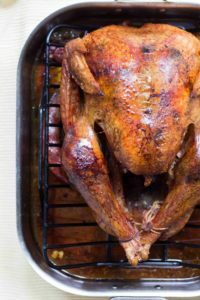 If you’re curious about trying your hand at a deep-fry but want a healthier alternative, there’s a recipe for a healthy, oil-free turkey at steamykitchen.com! For the consummate pitmaster, a smoked turkey is a masterful dish that your family will remember. If you have never had smoked meat, you might want to consider smoking for a smaller occasion before experimenting with this unique flavor. When a turkey is smoked properly it can create a lasting, tasty treat that can revolutionize that stale, yearly get-together. Smoking does take fairly longer to cook, and remember to place a pan under the turkey to collect the grease for gravy! Fans of the crockpot may already put theirs to use simmering their side dishes, but did you know that your slow cooker is a fantastic way to cook a turkey? Slow cooking may take upwards of 6 hours or more, but the end-result is one of the juiciest main dishes possible. Due to the size of a crockpot, you really can only prepare parts of a turkey. A good tip we recommend is mingling vegetables or stuffing to double down on cooking two separate dishes! If you’re looking for a recipe to maximize your slow cooker’s potential, we recommend this rub-cooking combination from Jessica Gavin! -Cooking length, Can’t Cook It All! Cooking a turkey in an outdoor grill might sound far from traditional, but it’s one of the best ways to cook. A grilled turkey Grilling does take longer to cook with a time of about 4 hours, and a grill should never be left alone to cook! The mother of all modern turkey traditions: the Turducken is a monster of a meal. With a prep time of several hours and a roast time of around 10-12 hours, creating this meal is a ritual on top of your Thanksgiving preparations. There are all kinds of Turducken recipes, but our favorite is this monster from Foodnetwork.com! While there are several ways to cook for Thanksgiving this year, there are only a handful of ways to celebrate. Everyone here at First Option is sincerely thankful for the family of homeowners we work with every day, and wish you and yours an incredibly happy Turkey Day!